I recently went to Berlin for a few nights and had a gnawing feeling that I was entering the land of the Berlin Hipster. 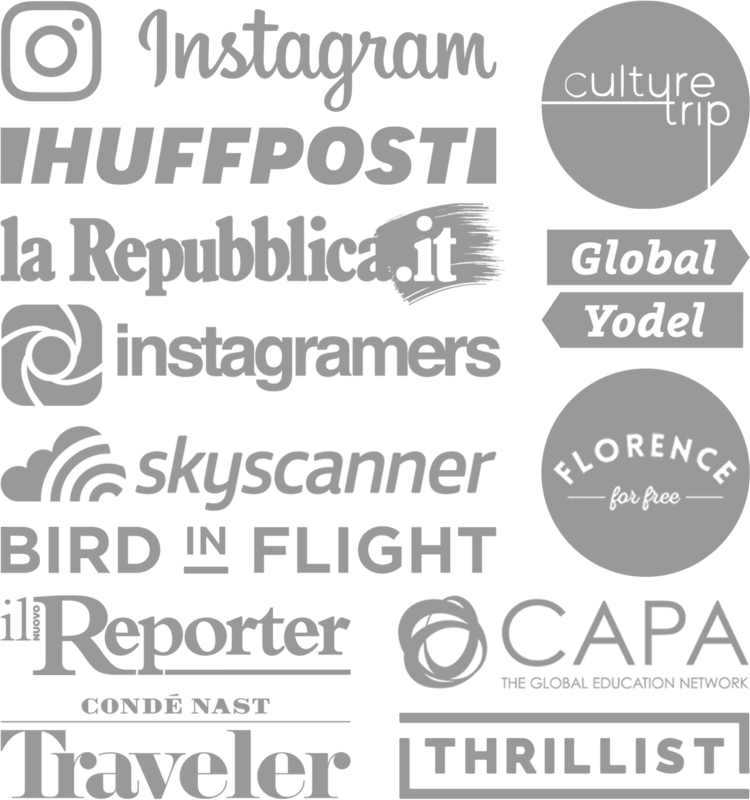 Tourists who go there are instantly labeled as hipsters, so beware. The ironic part is that Berlin is trying to eradicate themselves of Berlin Hipsters. The city does not seem too hospitable towards the American Hipster either, in fact Americans are loathed by some. So much so that an underground political group, Hipster Antifa Neukölln, has culminated in order to educate Berlinians and their misguided angst towards Hipsters and Tourists. It was a very cool city that’s for sure. I ate very well and walked around some cool neighborhoods. Everyone seemed nice, besides one random server. Indulge me for a bit while I dig deeper into this phenomenon we call the Berlin Hipster. I’m a sucker for cool looking clothes and do love my scarves, but not in 80 degree weather. I get a sore throat easily, so need to wrap some cashmere around my neck, so the scarf serves a purpose, a scientific purpose if you will. I am not sure if science plays a part in scarves meticulously dangling off your collar falling ever so perfectly on top of your low v-neck cotton tee. Owning a pair of thick brimmed reading glasses even if you have 20/20 is one sure way to get the Hipster badge. Am I a hipster if I wear good ole high top Chuck Taylors? Yikes! Don’t get me wrong, I love street art. In Miami we have the amazing Wynwood Walls which people go nuts over and rightfully so. This image above is one of my favorites from the artist Blu who does really cool work with video and has been around for some time. Go ahead, post a few pix here and there, it’s worth it, but just know that graffiti is also in Florence (or wherever) besides on the abandoned warehouses or the über-hipster neighborhoods of Berlin. Wow, hipsters know how to eat, especially Berlin Hipsters. The sushi at Onsen in Friedrichshain was the best sushi I have had in Europe since I moved abroad. 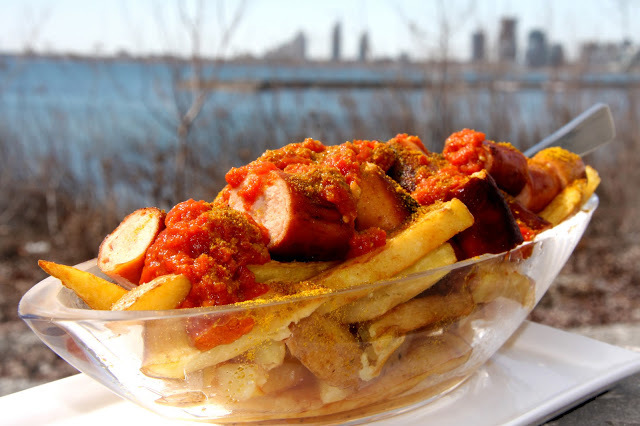 The way they pour curry powder over two hefty bratwursts, Mmm currywurst, the thought alone kinda makes me drool. 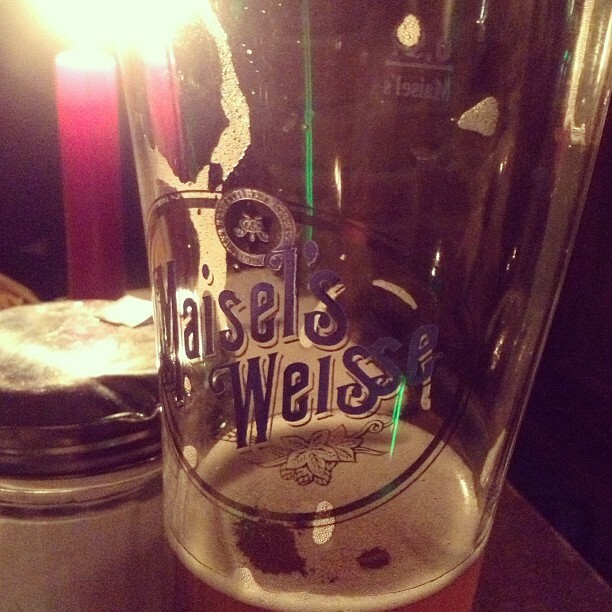 My favorite spot had amazing ‘bar food’ and ridiculous beer, weizen beer! It was a corner spot in Friedrichshain that we went to twice, one of which I passed out on the cozy, college-like couch in the back when a food coma got the best of me. There were tons of Vietnamese and Mexican spots that looked halfway decent. Most of the restaurants on the main strip of Prenzlauer Berg looked amazing. 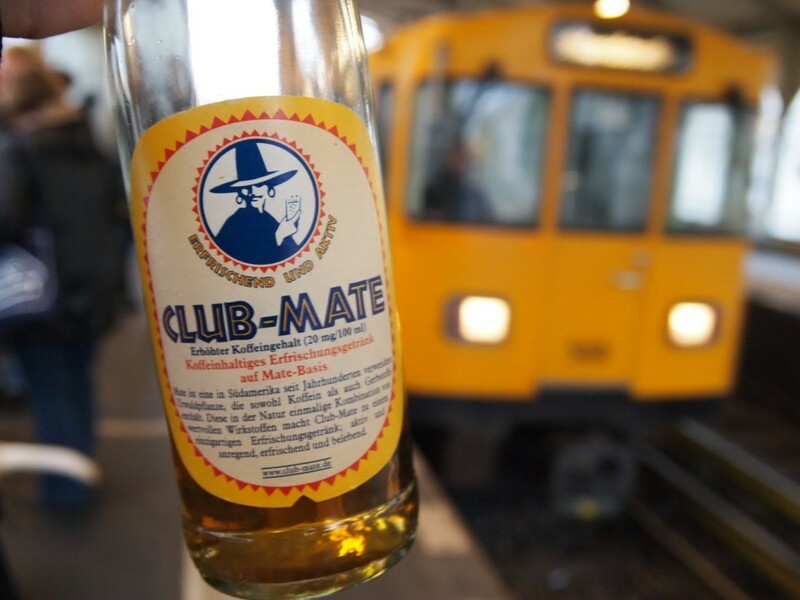 In the US we have PBR, in Berlin they have Club Mate. When compared to other sodas it is low in sugar and calories, but high in caffeine. It is so popular in the realm of the Berlin Hipster that the 2012 Hipster Olympics adorned the winning team with a golden Club Mate beer trophy. My go-to hipster beverage is a weizen, anyway, anywhere, anyhow. Supposedly Kreuzberg, Neukölln and Prenzlauer Berg are Hipster hot spots. 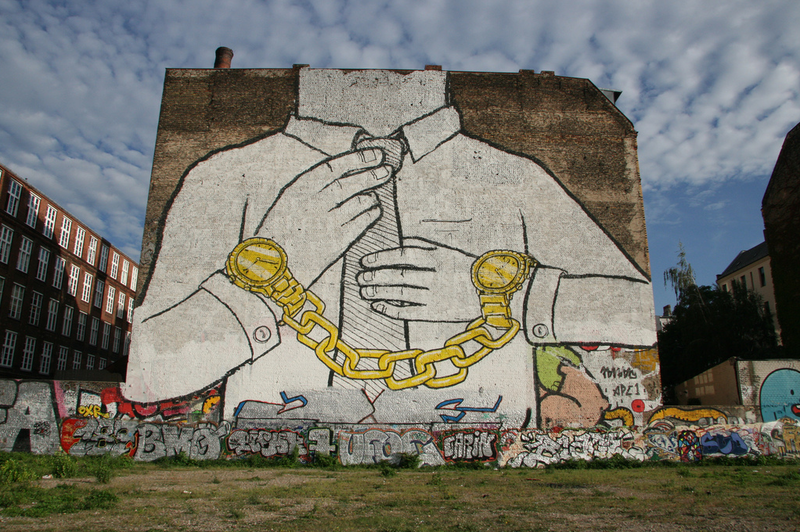 I loved Friedrichshain because it felt like a little section of Chelsea, New York. It had a nice neighborhood feel to it, but what do I know. We spent a night meandering around Charlottenburg where our friends live. That was a sight. Pretty, clean, wide streets with gorgeous buildings and lights. It reminded me of High Street Kensington a bit. 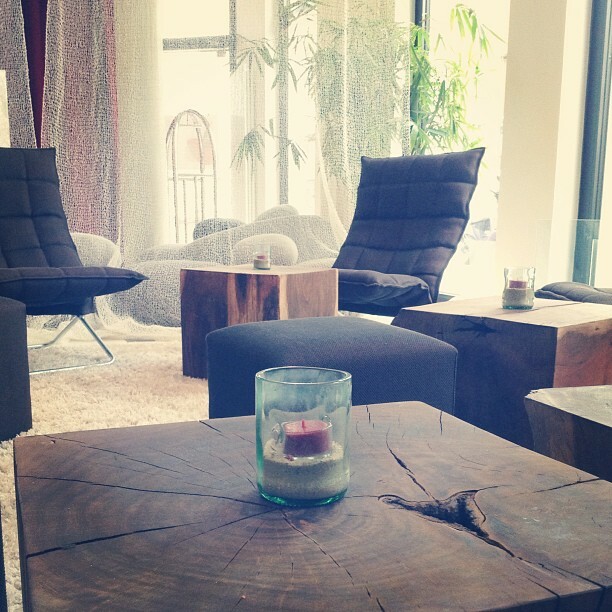 We stayed at the Almodóvar Hotel in Friedrichshain, which I absolutely loved. The bed was a haven with crisp white sheets and a very hip, spacious bathroom. The restaurant had an organic flair with an urban back patio for those warmer days. They had great tapas to fill up on before a night of weizen drinking. 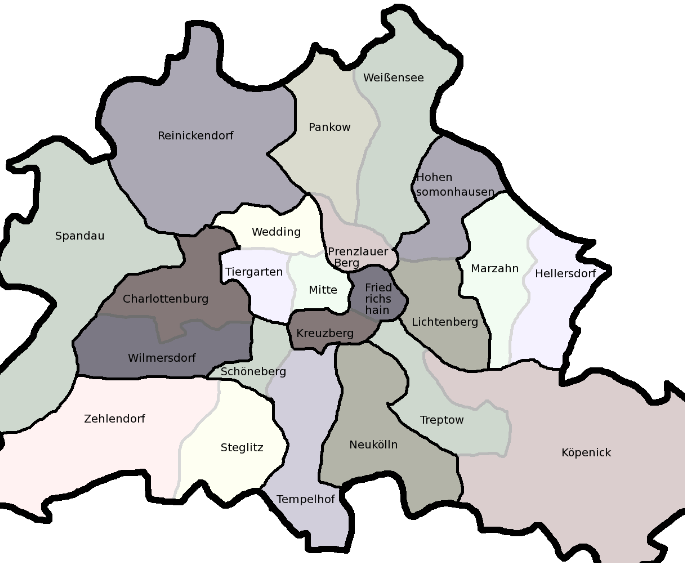 In case you really want to cross over to the dark side here are a few helpful sites to becoming a Berlin Hipster. There is the Berlin Hipster Kit for the low price of €25 if you buy today. There are 10 easy to follow signs on being a Berlin Hipster. You’re in luck because WikiHow has even created an awesome How To for someone like you. This video is dedicated to Nicco, since he shared this with me years ago. I find it quite fitting although it references British Hipster. Tomato tomäto. I don’t want to just point out Berlin Hipsters because hipsters are everywhere… there were tons in Boulder, Colorado where I lived for a year, but mainly because I worked at a huge advertising agency. Miami Hipsters? Don’t get me started. I may be one, but highly doubt it. Wait, do you think I am? Great post on an awesome city, you’ve captured the vibe perfectly! Ha, thank you!! I had a really great time exploring the neighborhoods and cool bars. This is so hilarious! 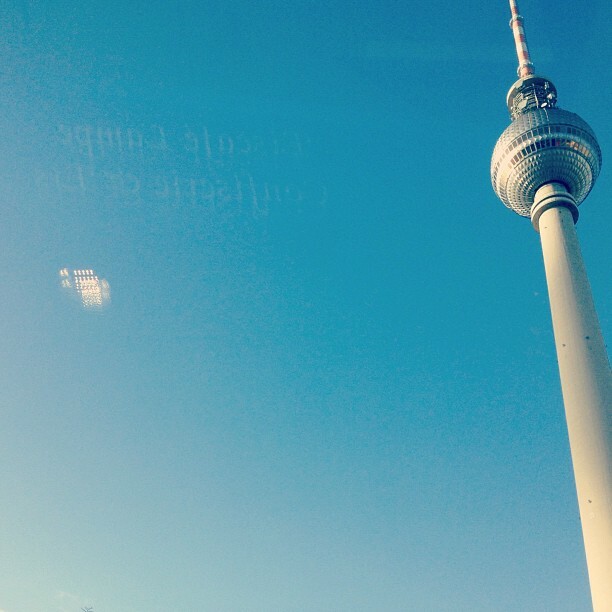 I was in Berlin two years ago, but only for a week for a conference so I didn’t have too many hipster sightings. I guess I’ll have to go back! Oh yes you should! I’m heading back in June and can’t wait to see more of the city… and its hipsters.